The third full week of the WPIAL football season is here. Last week saw two incredible streaks come to an end. Ambridge ended the WPIAL’s longest current losing streak at 22 games by beating Waynesburg 14-0. The Bridger Student Section stormed the field after their losing streak came to an end. In Class 5A, Shaler (who ended their lengthy losing streak in Week 0) got their first home victory in seven years by topping Hampton 29-28. 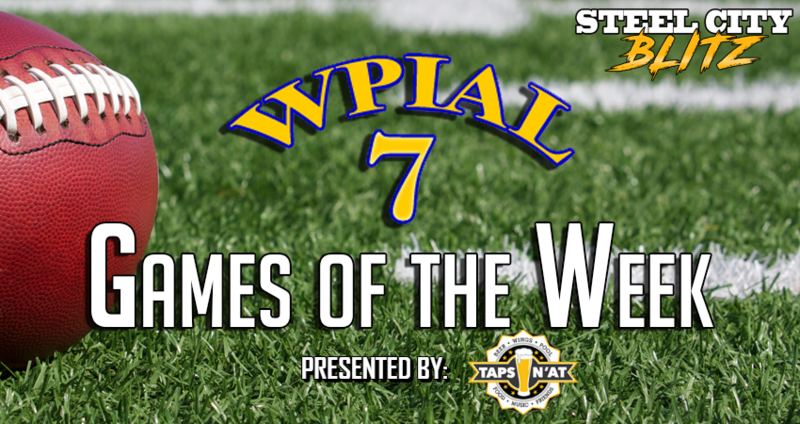 Also in 5A, in what was the game of the night, West Allegheny topped Bethel Park in Overtime by converting on a 2-point try to seal the victory. There were also two incredible individual performances that need to be mentioned. 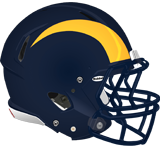 Keystone Oaks RB Michael Daure followed up his 6-touchdown performance in Week 1 by running for 391 yards and 5 TDs in Week 2. The most incredible performance was by California RB Cochise Ryan who had just 5 carries but ran for 258 yards and 5 TDs and also scored on a 35-yard reception. 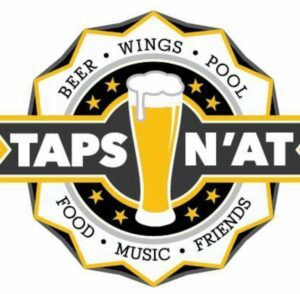 Thanks to the fine folks at Taps n’at in Derry, who are sponsoring all of our WPIAL content this year. At the end of the night, check back for a post with all of the scores and some game notes from the evening’s action. I’ll also be updating my WPIAL Standings Page with all of the results of tonight’s games, which count towards a team’s overall record but not towards making the playoffs. Class 6A has begun to separate itself into tiers. With Seneca Valley’s victory over Canon-Mac last week, the 6 teams that most expected to make the playoffs have all won a game while the 3 that many expected to miss out have yet to win. This game certainly has implications for the ordering of teams for the postseason. The Blue Devils offense has been led by QB Seth Morgan who has thrown for 697 yards and 6 TDs and is also the team’s leading rusher with 216 yards and 2 TDs. Morgan has been able to spread the ball around on the outside, throwing to Lucas Decaro (158 yards, 1 TD), Mason Ventrone (156 yards, 1 TD), Sam Lasota (119 yards, 2 TDs), and Tim Walters (107 yards, 2 TDs). Drew Vaughn has been the team’s most successful rusher, averaging over 9 yards per carry and scoring 3 TDs. Seneca Valley also has a pass-heavy attack, led by QB Gabe Lawson. Lawson has thrown for 331 yards and 5 TDs and run for 106 yards and 2 scores despite having missed the Raiders Week 1 tilt against Central Catholic. Caden Smithco played quarterback in that game and threw for 144 yards and 1 TD. On the outside, the primary threats have been Jake Stebbins (193 yards) and Josh McLean (185 yards, 4 TDs). Matt Stanger is the team’s leading rusher with 116 yards and 1 TD. Both of these teams are pass-first offenses while Seneca Valley’s defense has been more stringent so far this season. Two teams new to 5A this year are two of the presumptive favorites in the Northern Conference. Penn Hills moved down from 6A this year and has looked as good as advertised on offense and defense where they have the best secondary in the WPIAL. Mars moved up from 4A and has continued their traditional ground-and-pound attack. 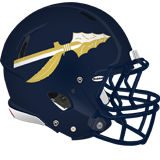 The Indians are led by Howard-commit Hollis Mathis who has thrown for 652 yards and 10 TDs and added 194 yards and 2 more scores on the ground. Mathis has spread the ball around to a slew of talented receivers in Daequan Hardy (188 yards, 4 TDs), Anthony Grimes (143 yards, 2 TDs), Dante Cephas (123 yards, 1 TD), and Cory Thomas (79 yards, 2 TDs). Penn Hills has had success on the ground as well with Tank Smith averaging 9 yards per carry and running for 225 yards and 4 TDs. For Mars, is has been all about their ground game as they have run out to a 3-0 record with all 3 wins coming out of conference. Garrett Reinke has shouldered the load, running for 382 yards and 4 TDs. Tyler Kowalkowski has only thrown about 8 passes per game and has thrown 1 touchdown and run for 3 more. This game is a matchup of distinctly different styles which could ultimately determine the Northern Conference Champion. Every week seems to produce a big matchup in the Big East Conference. This week is no different and features teams that have lost in the 5A Championship Game the last two seasons. Both teams saw a rash of graduations last year and have restocked their rosters with new starters. 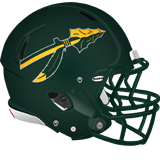 Penn-Trafford bounced back from their 0-2 start to throttle Connellsville last week. The Warriors have been led by dual-threat QB Gabe Dunlap who has thrown for 419 yards and 4 TDs and leads the team in rushing with 259 yards and 3 scores. Dunlap and RB Caleb Lisbon (209 yards, 2 TDs) have formed a formidable backfield tandem. Lisbon also is the team’s second-leading receiver with 150 yards through the air. Dimitri George leads Penn-Trafford on the outside with 170 yards and 2 TDs. McKeesport is the highest-scoring team in 5A, averaging over 50 points per game. McKeesport still runs their traditional triple-option offense and have only attempted 11 passes through 3 games. QB Konota Gaskins has been the star of the team, leading the rushing attack with 210 yards and 4 TDs while also being successful through the air in limited attempts, throwing for 165 yards and 4 more scores. The other feature backs have been Devin Sims (192 yards, 4 TDs), Rahmon Powell (157 yards, 2 TDs), and Devari Robinson (128 yards, 4 TDs). All three players, along with Gaskins, are averaging over 7 yards per carry. Sims and Robinson has been big-play hitters, averaging an incredible 16 yards per tote. Penn-Trafford’s defense has been shaky against the run this season and will need to tighten it up if they are going to slow down McKeesport’s offense. Baldwin has looked like a dramatically improved team this season and narrowly lost to Upper St Clair last week. Their game against Moon could have playoff implications. Peters Twp is coming off a big win over Woodland Hills while West Allegheny edged Bethel Park in overtime. Both schools are looking to assert themselves as serious contenders for the Allegheny Eight Conference title. Last week, Belle Vernon lost a showdown with Thomas Jefferson 36-14, marking only the second time the Leopards had lost at home since installing the gold turf. Now they look to get back on track against a talented Laurel Highlands squad that has yet to play a conference game. 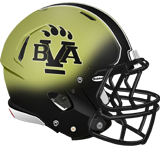 Belle Vernon prefers a run-centric approach led by Mason Pascoe (353 yards, 4 TDs). Even in a losing effort last week, Pascoe still put up 240 yards and 2 TDs on the ground against a good TJ defense. Jared Hartman hasn’t thrown the ball much this year, but does have 128 yards and 2 TDs through the air, primarily targeting Hunter Ruokonen (79 yards, 1 TD) and Nolan Labuda (41 yards, 1 TD). Laurel Highlands is led by the best player in Fayette County, dual-threat QB Conner Basinger. On the season, he has thrown for 329 yards and 4 TDs and run for 383 yards and 6 TDs. Robbie Sleighter has emerged as the top complimentary back to Basinger and ran for 2 TDs last week in the Mustangs’ shutout win over Montour. Laurel Highlands has big wins over Albert Gallatin and Montour and appears to be a threat to make a run at the playoffs if Basinger can continue his outstanding play. This game will be a good measuring stick to see how they stack up against one of the best teams in 4A. This game is the WMBS Game of the Week, which you can listen to here. Also, check out their pregame show starting at 6pm which might feature a special appearance by yours truly. Both New Castle and Beaver have suffered setbacks at the hands of South Fayette this season. This will be an important game in the playoff race as both figure to be in the hunt at the end of the season. The last two 3A State Champions meet in a Tri-County West conference clash. 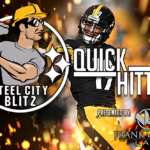 Quaker Valley suffered a 59-6 setback against the behemoth of Aliquippa last week as the Quips got revenge for their loss at Heinz Field last year. Beaver Falls has rebounded from their 1-win season in 2017 to get off to a 3-0 start. Both schools have scored victories over Central Valley with Quaker Valley winning 18-0 in Week 1 and Beaver Falls winning 41-7 in Week 2. 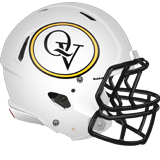 Quaker Valley’s offense is centered around dual-threat QB Ethan Moore and has struggled to find a rhythm early in the season. Beaver Falls’ seems to be clicking on all cylinders thanks to QB Dayln Brickner. Last week against Central Valley Brickner was responsible for 4 total TDs – 2 on the ground, 1 through the air, and a punt return. Amen Cottrill (who scored on an 84-yard reception last week) and Josh Hough have both found the end zone 4 times. All three of these games will have an impact in the playoff races in their respective conferences. Steel Valley has been to the 2A Championship Game each of the last two seasons. In 2016 the Ironmen won the WPIAL and PIAA championships then last year fell to Washington in the WPIAL title game. Steel Valley and Shady Side are not only the presumptive favorites in the Allegheny Conference but among the favorites to reach the 2A title game this year. Steel Valley used their ground game to top pass-happy Avonworth last week. Todd Hill, who is also the top linebacker in the WPIAL, has run for 352 yards and 4 TDs in just two games. Hill has averaged an incredible 21 yards per carry so far. His backfield counterpart Kam Williams has run for 321 yards and 1 TD and added 86 receiving yards and 2 more scores. 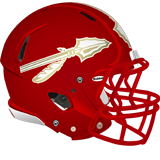 Both Hill and Williams scored twice last week to lead the Ironmen past Avonworth. For Shady Side Academy, they have relied heavily on two star players to carry them. Last season QB Skyy Moore joined the elite 1000 pass/1000 rush club but the Indians missed the playoffs. This year, Moore has thrown for 310 yards and 3 TDs and run for 281 yards and 2 TDs. Complementing Moore is Dino Tomlin, son of Mike Tomlin, who put on an incredible display last week. In Shady Side’s win over Valley, Dino Tomlin had two receiving touchdowns and returned a kickoff for a score. Dino’s younger brother Mason has also found the end zone twice this year on a fumble recovery and as a receiver. These are the top two teams in the Allegheny Conference and this could be a preview of the 2A Championship Game as both schools have the talent to be serious contenders this season. After throttling Riverside and asserting themselves as one of the favorites in the Midwestern Conference, Freedom takes on nearby Mohawk who has a blowout win and a blowout loss this year. Seton LaSalle has seen some struggles in their move down to 2A and takes on a South Allegheny team brimming with confidence after a 2-1 start. These were the top two teams in the Big Seven Conference last year and figure to be so again this year. 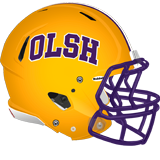 OLSH narrowly won the regular season matchup 16-13 last year, giving them the head-to-head tiebreaker needed to win the conference title. Both teams are off to 3-0 starts this season and are the top two offenses in 1A. OLSH is averaging 48 points per game and Rochester is averaging 27 per game. OLSH has been led by QB Tyler Bradley who has thrown for 656 yards and 8 TDs. Bradley has done a good job spreading the ball around to Andrew Schnarre (259 yards, 2 TDs), Richard Banks (179 yards, 3 TDs) and Ricco Tate (119 yards, 2 TDs). Banks moved to WR after playing RB last year and rushing for over 1000 yards. Austin Wigley, who missed last season with an injury, has been a force at RB this year running for 244 yards and 5 TDs. While OLSH has a balanced offensive attack, Rochester is built on their running game. Their two running backs have accounted for nearly all of the Rams offense this season. Noah Whiteleather leads the way with 617 rushing yards, 103 receiving yards, and 6 total TDs. Darius Goosby has gotten his share of work as well, running for 226 yards and adding 30 receiving yards and scoring 6 times. The Rams rushing attack has been so good they have hardly had to rely on QB Zaine Jeffers arm and been able to control their 3 games on the ground. At the end of last season, Cornell won their first game since 2011 and the Raiders have not lost since. With only 8 teams making the 1A playoffs this year, this could be an important game in the race for third place in the Big Seven Conference.